Light bulb signs and fairground lights are a great way to add illumination to signage, whether it’s to a large fascia sign for a west end theatre or individual letters that can be used in the home, light bulb signs or fairground lights can add that bit of glamour to any home or office and a show biz feel to any signage. Light bulb signs can be flashed, chased or lit up in a variety of ways to create movement in your light bulb signs and fairground lights. With our experience and manufacturing capabilities we can provide you with a final product that meets your expectations. If you are looking to create the ultimate Hollywood Effect, a light bulb sign is the perfect option for you. 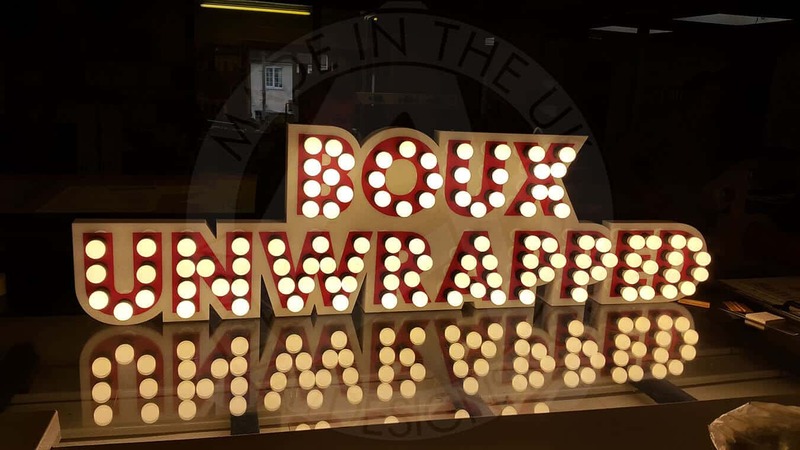 Not only do light bulb signs look flashy and amazing, they can be used as a way of lighting up a particular room, which can come in very handy for those of you who are trying to create a ‘glitzy and glamorous’ effect in the workplace, or at home. Hollywood mirrors with light bulbs are a popular choice for beauty salons and hairdressers, while signs can be used to add more glow to a room! As you would expect, a combination of many light bulbs can be extremely bright, and energy consuming too. Thankfully for you though, we have taken all of this into consideration. If you would prefer, we can use only energy efficient light bulbs to manufacture your light bulb signs. This means you won’t have to spend a small fortune to enjoy the sparkle that comes with a light bulb sign. The light bulb signs and fairground lights that we offer come in a variety of styles and colours, where a selection of these can be viewed on our colour selector page. 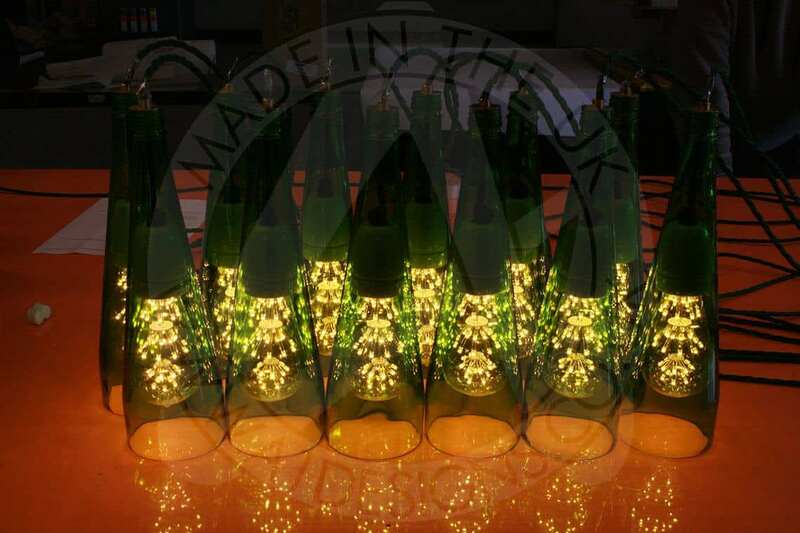 At A1deSIGNS we have the know-how to produce the Light Bulb Signs to meet your requirements, we can advise on the materials to use and where to use them. Contact us now for a free quotation or to discuss your requirements. To learn more about our sign making service, continue reading here.